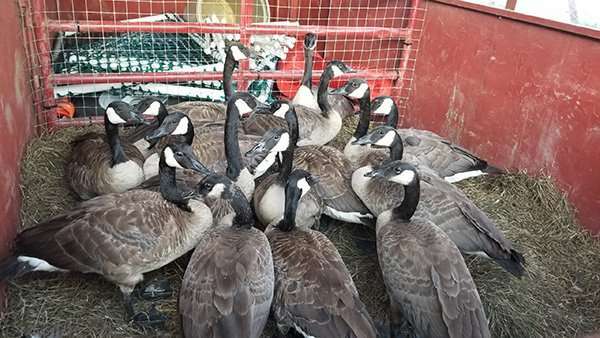 Barnes Wildlife Control has hands on experience removing problematic geese and extensive knowledge on dealing specifically with aggressive Canadian Geese around Dayton, Ohio so if you need Geese Removal Service call today 937-340-1867! Barnes Wildlife Control Canadian Geese roundup on a clients property in Dayton, Ohio. Request Barnes Wildlife Control in the COMMENT FIELD when you fill out the form for the Goose Permit. We offer a vast array of effective deterrents and can also work with you to obtain necessary state and federal depredation permits if physically removing the aggressors is the only option. Barnes Wildlife Control will thoroughly assess your situation and provide the best possible goose removal services in the Miami Valley. We offer nest destruction, egg addling, aggressive nesting geese pair removal, physical deterrent installation such as sprinkler, pyrotechnic, and audible goose control devices as well as Canadian goose roundups as seen in the video below. Whether it be an entire flock causing you problems or a pair of aggressive geese that need to go, we are here to help. 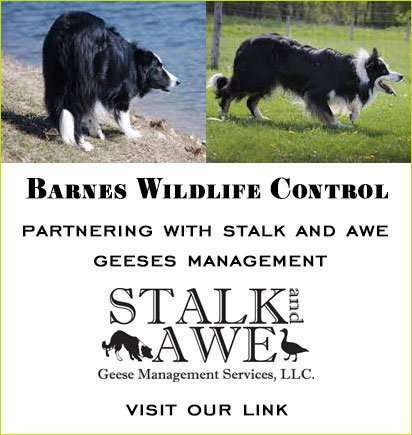 Barnes Wildlife Control has teamed up with Stalk and Awe Geese Management Services to offer several options to treat your nuisance geese situation. Visit our Dayton Goose Removal affiliate’s website Stalk And Awe. Greg Wagner from Stalk and Awe is an expert using Border Collies for geese management around ponds, businesses, apartment housing, condominiums, and more. Greg can be reached at (855) 992-3444. Since 2006, Stalk and Awe Geese Management has been committed to professional and effective solutions for Canada Goose Control throughout the Greater Cincinnati, Dayton, and Columbus areas. 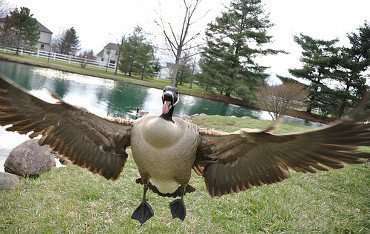 How Do I Get A License to Remove Aggressive Geese Or Permit For Geese Removal Service In Southwest Ohio? Canada geese are very adaptable and will tolerate living amongst humans to survive. Any location will do for geese to lay their eggs whether or not it makes sense to us or not. Barnes Wildlife has removed geese and nests from strange places such as on top of buildings, on roof air conditioner (AC) units, in shopping mall parking lots, and even on tops of cars. Geese will return to the same location each year to raise their goslings and if geese removal service or goose deterrents aren’t installed properly they will grow in population beyond control. 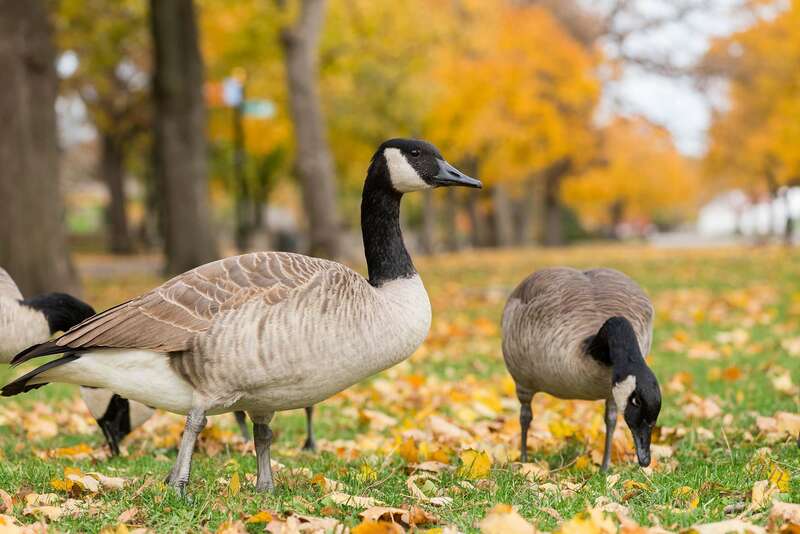 More common places we have to remove attack geese are golf courses, condominium ponds, apartment complex lakes, and neighborhood run off ponds. Geese have no fear of humans when they’re incubating the nest of eggs and will attack if necessary to protect the future goslings! If you are researching what to do about your goose problem in Dayton here are some important regulations you need to know. Canada geese are protected under both the Federal Migratory Bird Treaty Act 1918 and Ohio state law (O.R.C) governed by the ODNR and Division of Wildlife. These laws protect the geese, gosling, active nests, and eggs from unlawful extermination. 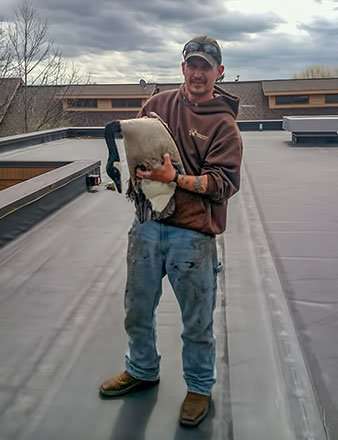 The most important thing to consider before proceeding with Dayton Geese Removal Service is this question: Are the geese damaging personal property such as buildings, landscaping, or vehicles or are the geese causing a safety or health concern where if left uncontrolled people are at risk for bodily injury. If you want to try some non-invasive hazing tactics which do not hurt the geese or nest before contacting professional geese exterminators we suggest the use of CW lasers or dogs. If these tactics fail the Division of Wildlife District 5 in Xenia may issue a lethal permit to allow the destruction of nests, or to conduct a goose roundup, or as a last resort shoot the geese. These permits can only be used March 11 through August 31 of each year and goose roundups are best performed in the month of June. To obtain a free Nuisance Goose Permit for the Dayton Ohio area it will go through ODOW District 5 out of Xenia. Click this link to be directed to the online form fill and request Barnes Wildlife Control in the comment field to take care of your problem. As stated above permits are only available from March 11 – August 31. When applicable, your request for permit will be considered at that time. Geese attacking customers in parking lot. Pair of geese nesting in apartment complex. Aggressive goose scaring people in church asphalt lot. Goose nest on roof of my building, what do I do? Goose attacks anyone who walks near, who do I call? What’s the best way to deter geese from your property? Can Canadian Geese legally be trapped? The video below shows a standard Canadian goose removal setup for what is referred to as a Geese Roundup. During the early summer months adult geese lose their flight feathers during the molting process and the young goslings are not able to fly. This is a very effective way that to manage nuisance geese on your property by removing large numbers all at once. If you would like to use Barnes Wildlife Control’s Geese Removal Service for the greater Dayton Ohio area give us a call at 937-340-1867. Canadian Geese are prolific breeders and goose populations can explode if not maintained. 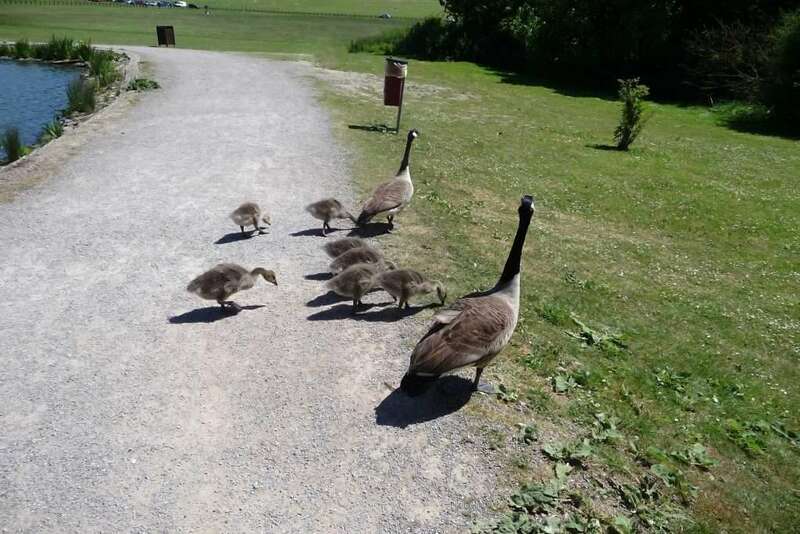 One effective option is to addle the eggs before the goslings hatch to prevent a situation like this one where the pair of geese have now become a family of 9. If there has been an active goose hunting presence established in the surrounding rural areas, the geese will choose to not frequent those areas. As the geese start to feel the pressure you may find the geese seeking safety on your property and you may need Barnes Wildlife Control’s goose knowledge. Feel free to contact us at 937-340-1867.
goose droppings left on your property? geese being raised on your property? geese polluting your small ponds with Goose Poop? goose damage to your grass and goose pooping on your lawn? If you answered yes to any of these questions and are ready to be geese free then visit our contact page to schedule your Geese Flock Management Evaluation today.